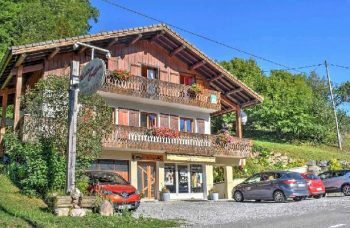 Increasingly popular ski station in the heart of the Portes du Soleil Ski Domaine which offers 650 kms pistes. Pedestrianised resort with horse drawn sledges. Stunning mountain views. Located on a plateau high above Morzine valley, Avoriaz is a spellbinding ski resort that has a bewitching effect on visitors the moment they arrive. 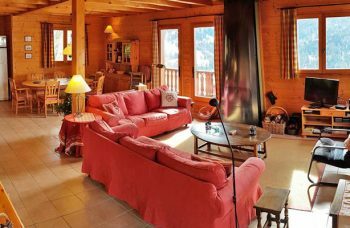 Blending perfectly into its surroundings with its elegantly wood-clad apartments and chalets, Avoriaz is a class act at the heart of the Portes du Soleil ski area. In this car-free destination, horse-drawn sledges criss-cross the resort centre, sharing the snowbound lanes with skiers, children on toboggans and après-skiers taking the mountain air. Avoriaz is an ideal destination for visitors of all ages thanks to its wide range of activities, with skiing for beginners in Annie Famose’s “Village des Enfants”, and freestyle skiing and snowboarding for bigger kids (there’s no age limit!) in the Stash, Europe’s first ecological snowpark. An average of 8 metres’ snowfall per winter. 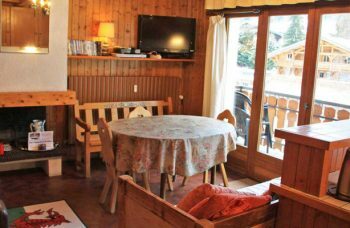 Avoriaz is ideally located in the middle of the Portes du Soleil ski area. Comprising twelve resorts between France and Switzerland, the Portes du Soleil is one of the largest ski areas in the world, offering 650 km of happiness. For families a swimming adventure at Aquariaz has been designed as an aquatic paradise in the mountains featuring lush vegetation and rocks: a river with variable gentle current, a slidewinder. (a kind of aquatic halfpipe), a water playhouse, a paddling pool, a large pool with climbing walls, massage benches and the must: an open-air spa heated to 34°C. MTB addicts and beginners will find in Avoriaz a perfect starting point to discover all the greatest places and trails of the Portes du Soleil. An activity for all to enjoy. Just 1 lift pass needed to access all the mountain biking facilities in the entire area. All the disciplines: cross-country, enduro and downhill. 4 more technically challenging downhill trails through the Forêt des Lindarets, with North Shore sections. Alternative activities :- For those of you who would rather enjoy the surroundings at a less frenetic pace there are a multitude of other summer pastimes to enjoy; horse riding, walking, fishing, golf… With rolling pastures, fragrant forests and clear mountain lakes there is a lot to be said for the Alps in summer.